When you have to travel and leave your feline companion behind, what do you do? You can pay a lot of money to board at a kennel or a vet, but that is stressful for your cat and for you. Your cat is thrown into an unfamiliar environment surrounded by strangers for several days, and you have to handle the logistics of transporting your cat there and back home according to their business hours. If you have more than one cat, this becomes quite challenging, not to mention expensive! Why put yourselves through that, when you can hire a professional Northern VA cat sitting service. Your cat will stay comfortably at home with the company of a person you can trust and who will love and care for your cat as much as you do. That is why Paw Pals should be your choice. Paw Pals provides a wide variety of pet sitting services both in-home and out-of-home for dogs, cats, and other small pets around Northern Virginia. Whoever you hire to take care of your cat, you need to know something about whoever will be responsible for it. 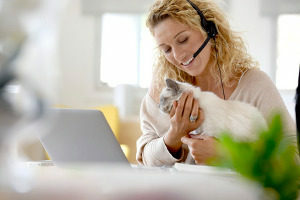 Here are five tips to help you select the best service for you and your cat. Engage in a conversation about the extent of the sitter’s experience. If you prefer someone with more experience, make your views known. Establish protocols in case an accident happens. For example, what do you want the sitter to do if something gets broken in your house? You need to make sure you and your property are protected if anything happens while you are gone. Be sure the sitter is responsible enough to have complied with local laws pertaining to pet sitting services. You do not have to worry about that with Paw Pals—a licensed, bonded, and fully insured service. Discuss the sitter’s arrangements for inclement weather. Ice, snow storms, hurricanes – make sure you both understand and agree upon any back-up plans for weather emergencies. At Paw Pals, a responsible back-up sitter is always available in case the unexpected happens (your sitter becomes suddenly ill, car troubles, etc.). Your cat is cared for no matter what. Find out if more than one person will be sharing your job. You have the right to know who will be coming into your home. For example, the sitter may want to bring a young child along while taking care of your cat. You do not have to agree to those arrangements. You should make your views very clear on this point. 2. Understand the Services to Be Provided. Get clear about the services the sitter’s basic fee covers and how much time the sitter will spend in your home with your cat. At a minimum, the cat sitter should feed the cat at established times each day, provide fresh water, and clean the litter box daily. Additional services may include medicine administration, grooming, vet appointments, or petting or play time. Your cat may or may not need those services. Understand what the additional services and those charges will be. Many professional Northern VA cat sitting services provide a written service contract that specifies the fees to be charged and the services to be provided. At Paw Pals, these basic services are included in the basic package. Extra services such as extra play time are available. Paw Pals also offers house sitting and garden watering in addition to our Northern VA cat sitting service. 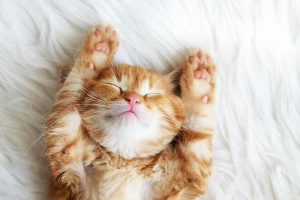 The cat sitters can take care of your cats and your home while you’re away. 3. Get References and Check Them. The sitter should be willing to provide two or three references who can attest to the sitter’s reliability and performance. Be sure to call the references and talk to them about their experiences with the sitter. If the sitter has a website, look at the reviews. You can learn more about the service there. Some services, like Paw Pals’ Northern VA cat sitting services, publish their reviews on their website. 4. Hire a Person with Animal Health Training. If you have a cat with serious behavior or health problems, you may want to hire a service with people who have training in taking care of cats with special health care needs. A service like Paw Pals sitters, whose sitters are 100% PetTech certified in Pet CPR and first aid, would be great for you. 5. Access to Veterinary Services Is a Must. Whether the sitter has health training or not, the sitter is probably not a vet. Your sitter should be willing and able to transport your cat to a vet if needed. Be sure to provide the sitter with your vet’s contact information, and agree on the protocols if your cat needs vet care in your absence. Paw Pals is dedicated to the excellent care of your pet. 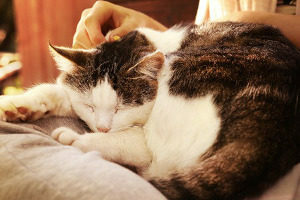 Our Northern VA cat sitting service at Paw Pals is highly flexible and customizable to keep your cat happy, stimulated, and healthy while you’re away. Paw Pals wants only happy pets AND happy pet parents. So you can rest easy knowing your best friend is in good hands while you are away.